RSA’s UK division made an operating profit of £147m in 2014, up 4% on the £141m it made in 2013. The combined operating ratio, excluding legacy business, was almost flat at 99.5% (2013: 99.6%) despite a £46m reserve strengthening for professional indemnity business and first-quarter weather losses. Net written premiums dropped 15.5% to £2.6bn (2013: £3bn) through a combination of changes to the account with Motability – RSA’s single biggest commercial motor customer ­ and pricing discipline. Excluding Motability, net written premiums were down 6%, driven by 6% reductions in both commercial and personal lines. The results were helped by cost cutting, which included cutting 500 full-time jobs, which accounts for 7% of its UIK workforce. RSA UK also had to strengthen reserves by £32m for its legacy business, which includes historic asbestos, abuse and deafness claims. The legacy business is excluded from the UK divisional results RSA reports. The company said: “In the UK we have made progress with management action on pricing and underwriting that included both planned exits and focused growth. “Adverse weather in the first quarter together with reserve additions in commercial have affected profitability. 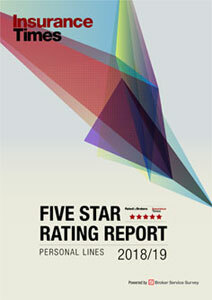 RSA UK’s underwriting profitability was driven by personal lines. The personal lines division made an underwriting profit of £49m in 2014, up 11% in the £44m profit it made in 2013. This was made up of a current-year underwriting profit of £26m and a prior-year profit of £23m. The division reported a COR of 95.9% (2013: 96.4%). 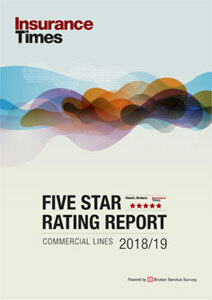 But commercial lines performance deteriorated. The division’s underwriting loss increased by almost 10% to £34m (2013: £31m). This was made up of current year losses of £9m and prior year losses of £25m. The division reported a COR of 102.1% (2013: 101.7%). The prior year loss was mainly caused by the £46m of reserve strengthening in the professional indemnity book. The commercial property book also suffered, making an underwriting loss of 8m (2013: profit of £58m). This was caused by “heavy weather losses” from storms in January and February and June in Europe, as well as a slight increase in large losses. On a positive note, underwriting performance in commercial motor improved to a profit of £25m (2013: profit of £8m) and reported a COR of 94.7% (2013: 98.6%) .RSA said this reflected “better performance across the book”.